Robert J. “Bob” McCarthy, age 92, of Eastman died on Sunday, January 13th, at the Prairie Maison care facility in Prairie du Chien. He was born June 22, 1926 in Wauzeka, WI, the son of John and Esther (Lathrop) McCarthy. He married Lorraine Polodna on June 6, 1950; they lived in the Eastman area the rest of their lives. Lorraine preceded him in death January 28, 1999. Bob managed the Prairie City Bank-Eastman Station for 36 years and was the past President of the Crawford County Banker’s Assn. He served as Eastman Village Treasurer, Eastman Water Superintendent, and a Volunteer Fireman, each for over a half century. Bob served as a treasurer of 13 different organizations at one time and enjoyed driving a school bus for the Prairie du Chien School District for over 17 years. 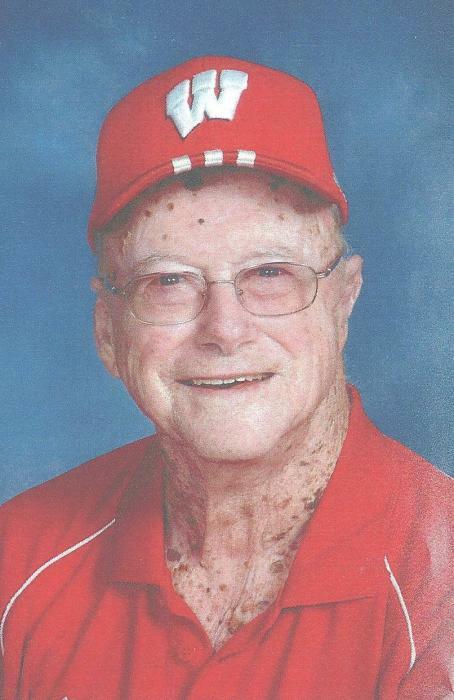 He was an active member of St. Wenceslaus Parish in Eastman, serving as a Eucharistic minister and usher. He is survived by his daughter, Mary Ann (Tom Ramsey) Drescher of Lodi, WI, and son, Leary (Michael Roberts) of Ormond Beach, FL, and his grandchildren, Nicholas (Mandy) and Michael Drescher, Matt, Paul and Grace Ramsey. He was preceded in death by his parents, his wife, his son Kevin, his brother Harold and his sisters, Violet Heiar and Irene Dani. A Memorial Mass of Christian Burial will be Friday, January 18, 2019, at 11:00 AM at St. Wenceslaus Church, 28075 State Highway 27, Eastman. Rev. James Weighner will officiate, with inurnment in the church cemetery following the services. There will be a lunch in the church hall following the inurnment. Friends may call on Thursday, January 17, 2019, from 4:00 PM to 8:00 PM at the Garrity Funeral Home, 704 S. Ohio Street, Prairie du Chien, where there will be a parish rosary at 7:00 PM. Friends also may call at the church on Friday from 10:00 AM until the time of services. In lieu of flowers, memorials are preferred to be donated to some of Bob’ favorite charities. Bob McCarthy’s joy for life was an envy to us all, whether it was skydiving at 80 or fondness for his “Uncle Bob”. To Bob, “a life well lived” was not a cliché; it was a reality.